Home . Publications . Is the Vatican Slouching toward Wickedness? 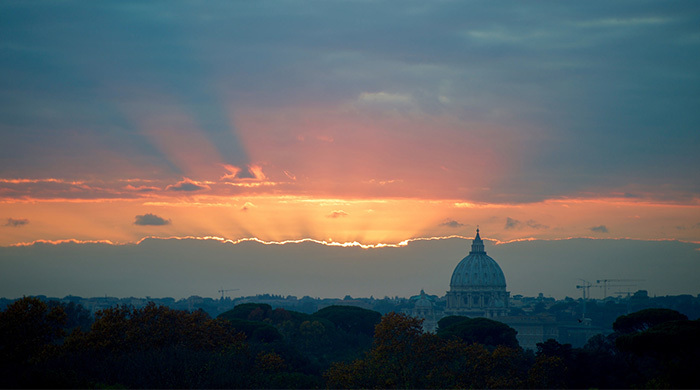 Is the Vatican Slouching toward Wickedness? The situation in Vatican City continues to deteriorate, as news abounds of alliances not quite in harmony with Church teaching. Most recently we learned that “Chile’s president Michelle Bachelet, who sponsored a bid to allow legal abortion, will be one of the speakers at a November conference organized by the Pontifical Academy of Sciences.” At the same time, we are learning more about the newly appointed members of the Pontifical Academy for Life. One of them is a defender of remarried Catholic divorcees living in adultery. Her name is Professor Anne-Marie Pelletier, a biblical theologian who also defends homosexual marriages. Pope Francis honored Pelletier by asking her write the Good Friday meditations even though she is a known public dissenter from Catholic teaching. Sadly, Pelletier is not the only problematic appointee. New appointee Professor Nigel Biggar has said publicly that he supports abortion up to 18 weeks. And Vatican reporter Edward Pentin has mentioned several additional appointees to the Pontifical Academy for Life who dissent from the encyclical Humanae Vitae. At least one of them supports contraceptive use in some cases for Catholics. These facts have led to, at least in my opinion, emulations of such confusing activity right here in the United States, with just one example recently happening in the Archdiocese of Los Angeles. Congresswoman Judy Chu, who has a 100 percent pro-abortion voting record and endorsements from both Planned Parenthood and NARAL, recently spoke at an event located at the Cathedral of Our Lady of the Angels Plaza. Though the event was not sponsored by the Church, its allowance of such a speaker on Church grounds confuses people and seems to give tacit approval. Several Catholic pro-life organizations protested, but to no avail. And as far as we could discern, Archbishop Jose Gomez had no response. Naturally Catholics are concerned and confused. And while the faithful have to cope with this scenario, we surely do not have to remain quiet about it. All these matters are in God’s hands, but we can take action in our own little corners of the world. Furthermore, we are also called to be watchmen, like those the prophet Ezekiel mentioned in chapter 33. This means we must reassure our brothers and sisters that we find our refuge in Christ during these troubling times. We are headed for very rough waters and we must not lose heart. Our Lord is alive and we must be faithful to Him and His teaching during this time of trial. Young priests and laity, and the many faithful movements, must hold firmly to the Truth, united in prayer and action until this storm is calmed. Jesus, I trust in You! Trusting in Christ, we can speak the truth with love and charity, and we can make sure our children are educated in the ways of the Lord according to the Catechism of the Catholic Church and the great teaching of heroic popes like St. John Paul II. We can become individual lighthouses where others can come for reassurance that nothing is lost except that which we choose to surrender. And surrender is not in our vocabulary. Perhaps the Vatican is slouching toward wickedness, but we are dashing toward Christ and clinging to His truth as we share it with our family and friends. We will not allow this confusion to reign.